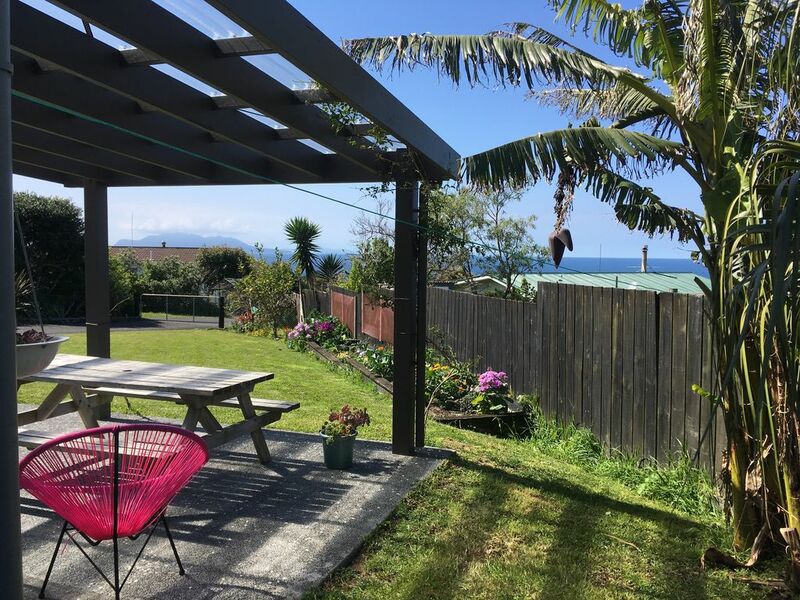 2 bedroom apartment on the ground floor of our home, set off the road for privacy with gorgeous sea views and a covered patio for outdoor entertaining. This unit has been completely renovated with new kitchen, bathroom and flooring. Note that it is not stand alone, it is within our house but self contained. Our home is mainly on the upper floor. Also available is the entire house home for larger groups; see my other listing (Sea Gazers Loft) to book for 10 people. check out for other options. there is a shared laundry with internal access from both sides in a lockable space. Megan was great and very flexible and great communication! It is safe to say Megan is a wonderful host with a lovely home. She was very easy to communicate with and flexible with our check in time. Great host! Leigh is a lovely community and Megan’s place is in a great location. A well equipped flat with comfortable beds!! Very clean & good facilities. Perfect for one night or a week. We will definitely keep this place on the radar for future stays. Thanks Evan, lovely to have your group stay and thanks for looking after the place. Hope you enjoyed the gig at the Mill! Great location with ocean views, nice and clean and cute decor and very clean and comfortable. Great location with ocean views, nice and clean and cute decor and very clean and comfortable. Would definitely stay again. Really nice location. Coastal walks, hidden beaches from the house and food and groceries very close by. The property was spacious, clean and modern.